The Energy Consumer Market Alignment Project (EC-MAP) is a Washington, DC non-profit operating in collaboration with the Keystone Policy Center. 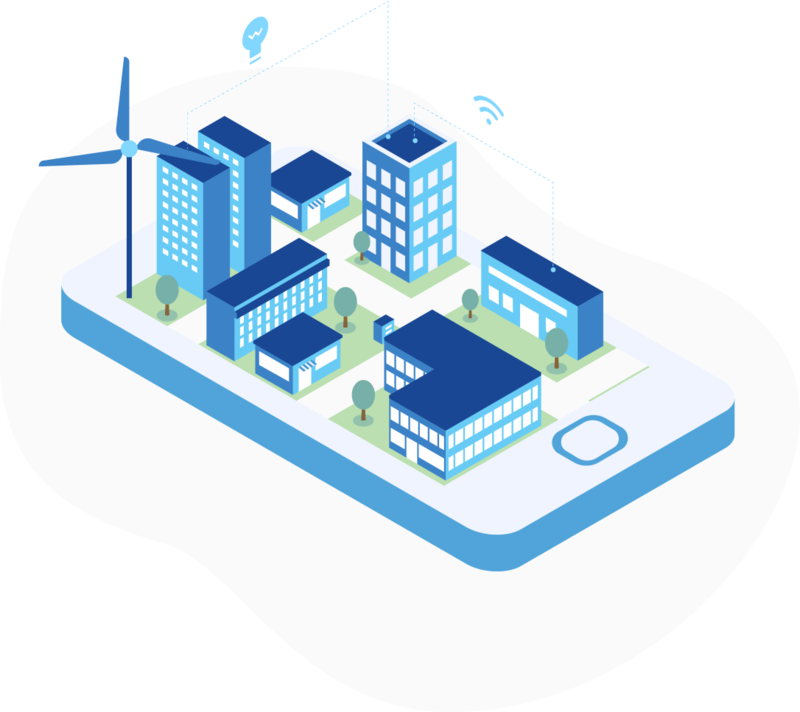 We envision an energy future where digital technologies drive greater transparency, fair competition, and consumer choice—and where policy enables innovation instead of creating market barriers. By advancing a dialogue around the role of government in this new era of energy digitalization, we will build consensus for policy roadmaps that benefit energy consumers, the economy, and the environment. EC-MAP will align policy with a digital energy future—a future where government empowers consumers, supports free and fair markets, and enables innovation. EC-MAP envisions an energy future where digital technologies drive greater transparency, fair competition, and consumer choice—and where policy enables innovation instead of creating market barriers. EC-MAP represents pragmatism rooted in free market principles. We value competitive markets and freedom to innovate, and we support solutions that enable consumers—including large industrials, businesses of all sizes, and individuals—to have autonomy over their energy, environmental, and sustainability choices. The era of energy digitalization requires policymakers and regulators to embrace a new way of thinking about energy governance focused on removing barriers to facilitate new markets, enable new forms of transactions, and empower consumers. If government is to remain relevant, policymakers and regulators must align energy policy to enable competitive markets designed to accelerate innovation, achieve greater sustainability, and optimize benefits to consumers. The era of energy digitalization offers new opportunities to channel consumer behavior into clear market signals. These signals can unlock capital, connect consumers to markets, and accelerate deployment of energy technologies—all without top-down, government-driven interventions. Today, market signals are limited by outdated government programs and statutes. That's why EC-MAP is working to align public policy with a digital energy future. Emphasis on energy market design elements to enable innovation, along with transparent compensatory structures for energy services provided to the electricity grid and transportation infrastructure network. Emphasis on determining access to data collected and commoditized in digital markets and how it is shared and utilized for regulatory compliance purposes. Heightened emphasis on updating policies and protocols affecting critical infrastructure designations, resilience efforts, and surveying new cyber, physical, and severe weather-related threats. We know that we don’t have all the answers. Some policy barriers may seem insurmountable, but technology solutions are also advancing at an unprecedented pace. Policy can and should better align energy consumers and markets through innovation. EC-MAP will work with incumbent stakeholders, new stakeholders, policymakers—and you—to build a roadmap to get there. We hope you will join us in accelerating this new era of energy digitalization. General Counsel For the past 20 years Cameron has worked in private law firm practice at the intersection of energy, environment and finance. A partner of the Coefficient Group, Cameron is a nationally-recognized legal expert and thought leader on energy and climate-related issues, including the development of pragmatic, market-based policies that enable private sector solutions and investment in innovative solutions to systemic problems. This lens has provided a unique perspective on market-based efficiencies and political inertia, one that has highlighted the important need to redesign antiquated regulatory systems to better harness the power of competition through data transparency and digitization. Senior Advisor, Policy For more than 15 years, Alisa has been accelerating clean energy innovation. She advises organizations ranging from Fortune 500s, early-stage companies, investment firms, and non-profits on policy and regulation, coalition building, and strategic communications. She served as lead designer of the $20M NRG COSIA Carbon XPRIZE and co-led the clean energy practice at McBee Strategic Consulting (now Signal Group). Prior to working in the private sector, she spent nearly a decade on Capitol Hill, leading strategy and policy for the U.S. House Committee on Science and Technology and playing a lead role in the creation of the Advanced Research Projects Agency–Energy (ARPA-E). Advisor, Operations Sean has contributed nearly a decade to national environmental policy initiatives. Combining his experience in global financial services with environmental consulting, his focus is innovative and alternative approaches to critical infrastructure investment, market-based environmental solutions, and corporate sustainability. Sean serves as an Advisor, helping manage EC-MAP’s operations and providing strategic input to its leadership team. Sean is Vice President of the Coefficient Group, and he previously served as Director for The Horinko Group, working with former U.S. EPA Acting Administrator Marianne Horinko, where he led the firm’s Public-Private Partnership practice. He also previously served as International Credit Portfolio Manager for The Northern Trust Company, and Treasurer for the Water Resources Action Project, Inc.
Advisor, Strategic Partnerships and Development Christina serves as an Advisor, helping EC-MAP develop and implement partnerships and fundraising strategy. She has over fifteen years of energy and environmental policy, technology, and market expertise. Christina currently serves as an Advisor to the Coefficient Group, and her background includes serving as the Director of Partnerships and Development for the Center for Clean Air Policy and the Director of Investor Relations at Natsource Asset Management. Christina was also part of NextEra Energy Resource's distributed generation team originating projects across the U.S. and Caribbean. Earlier in her career, she provided research, project management, and policy development support for the Goddard Institute of Space Studies (at Columbia University) and the Development Bank of Japan. EC-MAP will be guided by a Board of Strategic Policy and Digital Advisors. This Board will help to provide leadership and direction on strategy, program development, and activities under the Transportation, Power, and Industrial/Commodities work streams and will seek to align efforts with emerging digital technologies and opportunities. This effort will be facilitated in collaboration with the Keystone Policy Center, an independent non-profit founded in 1975 to drive actionable, shared solutions to contentious policy issues.